‘Stronghold x Space Colony’ adds Space Colony characters Stig Svensson and Tami La Belle as AI opponents alongside The Wolf, The Pig, The Snake and The Rat. 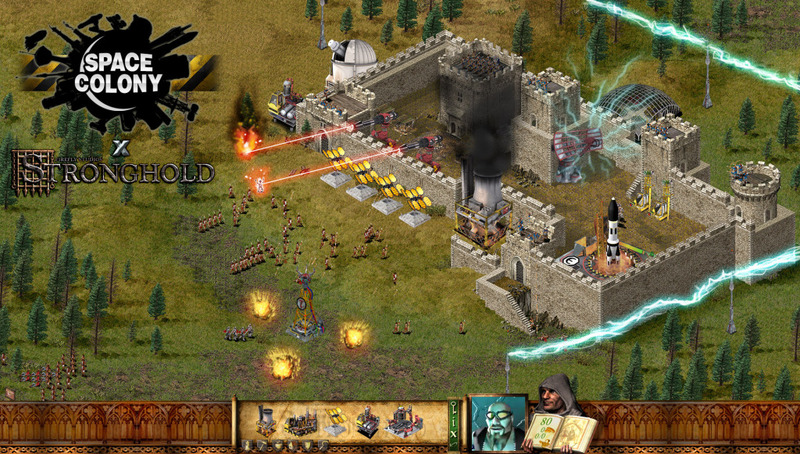 The new DLC replaces wolf dens with Protoraptor nests, adds Hovermines and laser turrets to your selection of castle defences and intro-duces an all-new campaign in which these new characters invade medieval England! Two new AI opponents from the Space Colony universe, Tami and Stig. Six multiplayer maps set on planets from the original game. A brand new campaign complete with with twelve missions, set in medieval England and on planets in the Ussvald System. Futuristic structures and new castle defences using advanced tech. Alien lifeforms to destroy or tame, turning them against their mas-ters! The Stronghold x Space Colony DLC will be made available as a free download on the official Firefly Studios website on April 30th, when Space Colony: Steam Edition is set to launch.